Share your deep love of all things chic and adorable wearing the Kate Spade New York® Romantic Rocks Mini Pendant Necklace. Gold-tone plated brass metal necklace with red glass crystal heard pendant. 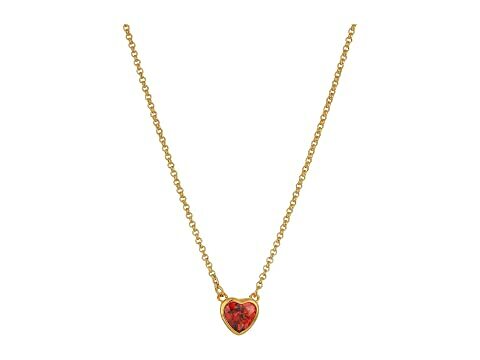 We can't currently find any similar items for the Romantic Rocks Mini Pendant Necklace by Kate Spade New York. Sorry!